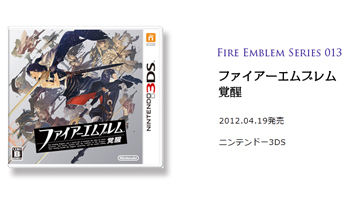 Notes: Fire Emblem will be abbreviated as FE where appropriate. A) A strategy RPG series developed by Intelligent Systems and published by Nintendo. Q) What’s a strategy RPG? A) A game where you and the computer take turns to move characters across tile-based maps to fight—and ultimately clear the screen of—enemy units (sometimes winning consists of fulfilling other objectives, but this is true in general). The “RPG” part comes from characters being able to gain experience, level up, gain new equipment and, of course, lots of talking between characters! Q) I heard that character death is permanent. Is this true? A) In general, yes. Permanent death is one of the key features of the series; once a character reaches zero HP, you won’t be able to use them for the rest of your playthrough. There are some exceptions though—the biggest being Casual mode from Heroes of Light and Shadow and Awakening, where fallen allies return in the next chapter. 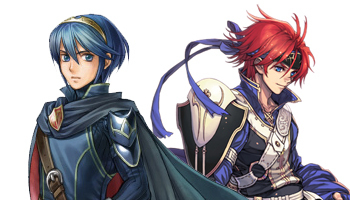 Q) Are Marth and Roy characters from Fire Emblem? A) Yes, you’re correct. Marth is the main hero of the first and third games, Dark Dragon and Sword of Light and Mystery of the Emblem, as well as the two DS remakes, Shadow Dragon and Heroes of Light and Shadow. He (or somebody impersonating him) also appears in Awakening. Roy is the main hero of the sixth game, Sword of Seals, and he makes a very brief cameo in Blazing Sword. Normally Marth and Roy exist in separate universes, but you can bring the two together via Awakening‘s downloadable content. Marth and Roy in Awakening. Q) What Fire Emblem games are there? Note 1: Only FE7-11 have been officially released in English (with FE13 coming out soon). The rest are Japanese-only. Note 2: The numbers before the games are commonly used by fans and are not official. Note 3: The English titles for FE1-7 and FE12 are commonly used by fans and, again, are not official. Note 4: Additionally 4 games (collectively known as BS Fire Emblem: Akaneia Senki) could be downloaded via the Satellaview attachment for the SNES. Q) Are the Fire Emblem games all related to each other? A) Not in general, but there are connections between certain games. Q) Why do people number the games? A) Because it makes it easier to refer to the games, eg. FE3 is Mystery of the Emblem. The reason why numbers are used specifically is because, firstly, there are lots of games (thirteen currently). Secondly, unlike other series, a lot of the games (over half) are in Japanese. Thus using abbreviations of the subtitles isn’t always feasible, since some subtitles are not official (and often disputed amongst fans) and some people don’t know them altogether! I realise some people find it odd how the two remakes (Shadow Dragon and Heroes of Light and Shadow) are numbered as if they were new games. Usually, you don’t give remakes or ports their own number, but Fire Emblem is just one of those weird exceptions; even the developers count the remakes as new games, if you check the game code or the official website. Intelligent System calls Awakening “FE13”. Don’t argue with them! Q) Who are the main characters of each games? Note: The main heroes are usually of the Lord class, so some fans refer to them as just Lords. Q) How can I play Fire Emblem 1~6 and 12? Q) Will the older Fire Emblem games be released and translated on the Virtual Console/eShop? A) Currently is it highly unlikely. FE3 and 4 have been available from the Japanese Wii Virtual Console since late 2006 to early 2007 and Nintendo of America doesn’t appear to have shown any interest in translating the older games. Q) How do you emulate the games? A) You need to download the ROMs of the games (be aware that owning ROMs is illegal), as well as the corresponding emulators (eg. 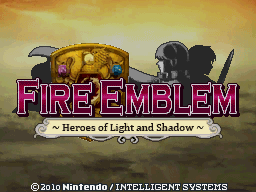 SNES emulator if you want to emulate FE3 to 5). Then you just run the ROM from the emulator. If a translation patch exists for the game, you can also apply it to the ROM. Q) What’s a translation patch? A) Well, a patch is a file that alters another file, so a translation patch is a file that translates a ROM file. Translation patches are made by dedicated fans, who modify the original game and translate it word-by-word. Q) Are there translation patches for all the games? A) Fortunately, yes. FE1-6 and 12 have complete or near-complete translation patches. Near-complete meaning that they are mostly complete, but there are minor things that could do with fixing or translating. Unless you want to wait forever, it’s probably not worth putting off 90~99% complete translation patches. Anyway, please check this page for more information. FE1-13 can all be played in English one way or another! Q) How do you patch a game? A) There’s two ways to go about this—by soft-patching or hard-patching. To soft-patch, your emulator must first support this feature—most good emulators do, although you may need to enable it from the configurations menu. Rename your patch and ROM so that they both have the same name, barring filetype suffix, eg. the patch is FE4.ips and the ROM is FE4.smc. If the filetype suffix isn’t displayed on your computer, don’t add it! Then just load the game as per normal. Some people have problems with soft-patching or their emulator doesn’t support it. In this case, you’ll want to hard-patch the game. To do this, you will require an external program that specialises in patching files, such as LunarIPS or IPSWin. Download one of these, run it and then follow the instructions to patch the file. It should be pretty straightforward to do. Note that hard-patching a file is permanent, so you may want to keep a clean (un-patched) copy of the ROM, just in case. Also, don’t forget to consult the ReadMe file included with the patch for further information. Q) I followed the above, but I still can’t get my game in English. What do I do? A) I’d suggest asking for advice on the forums or elsewhere. Just make sure to clearly describe everything you’ve done, so people can figure out what’s wrong. Q) What is a Jeigan? A) A Jeigan (or Jagen) is a fan-term for a promoted (higher class) unit that joins at the very start of each game, usually a Paladin. In general they have superior stats to other units, but are quickly surpassed, due to their typically low growth rates. Therefore it is recommended not to overuse them early on, since they often gain experience at a slower rate than the other units you get at the start. Jeigan, from FE1, was the first Jeigan (hence the term). Q) What is this FE4 two generation thing I hear of? A) Basically the game takes place in two halves—the first generation (or generation of parents) and the second generation (or generation of children). Q) What is the Fire Emblem Anime? A) Otherwise known as the Fire Emblem OAV, it was a two-episode animation series based on the events of FE3. It seems more episodes were planned, but the series were stopped for reasons unknown. Surprisingly an English dub was released in America.